Today’s post is a guest post from Travis Hornsby. You might recognize his name from a post about not getting into Harvard which was featured in a recent Sunday Best. He is engaged to a physician and has learned the ins and outs of student loans. Live below your means. Live like a resident for the first few years as an attending. Get the highest paying job you can and pay down your medical school loans fast. These pieces of sage advice would be all a young resident laden with debt needed to hear in 1995. However, the way today’s doctors pay for medical school has completely changed, and so have the rules. Physicians need to have a plan in place to maximize savings on their student loans. For almost every resident, the Revised Pay As You Earn plan (REPAYE) will provide an enormously helpful interest rate subsidy and will maintain their eligibility for loan forgiveness if they remain at a not for profit hospital after training. Here’s how it works in an ideally managed scenario. On your first day after medical school graduation, you file a consolidation application at studentloans.gov and waive the grace period. By selecting REPAYE as your payment option, you’ll keep your monthly payment to a small manageable amount. REPAYE pays half of the accrued interest not covered by your monthly payments. Say you have an average interest rate of 6% on $200,000 in medical school loans. The interest charge is $12,000. Also assume your yearly payment under REPAYE is $4,000. The government takes the $12,000 figure, subtracts $4,000, and divides the remainder of $8,000 by 2. In this scenario, REPAYE covers $4,000 of interest. The effective interest rate on your loan is actually 4% instead of the stated 6%. You won’t find any private refinancing company that will give you such a low rate as a resident without a cosigner. Feel free to check my math by downloading the student loan calculator I built here. An important caveat is that REPAYE treats all marital income as joint. 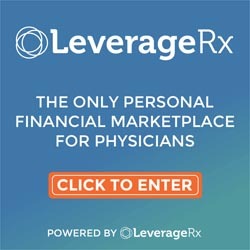 So if your husband or wife is an attending with no debt making $300,000 a year, choosing REPAYE could leave you with a very high monthly payment with no interest subsidy. 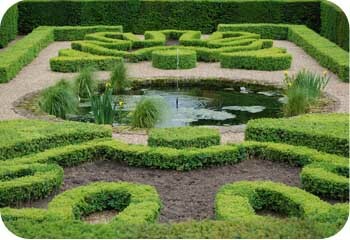 In many cases, a resident married to an attending with low or no debt should consider refinancing to obtain lower interest costs. Even so, most residents are either single or married to someone who also has debt or a relatively modest income. That’s why looking into the powerful interest rate subsidy with REPAYE is really important. My fiancée is a urogynecologist at a not for profit hospital. Before that, she trained for her residency and fellowship at not for profit hospitals. When we met and I started learning about the student loan rules, I realized we needed to submit something called the Public Service Loan Forgiveness (PSLF) employment certification form. By the time we sent the form in, she was about to finish her final year of training. The Department of Education’s response floored me. For some of her loans, the servicer only had records of 2.5 years’ worth of monthly payments under the IBR plan. For others, the servicer only showed 1 month of payment history. Additionally, she had consolidated all her loans at the end of residency, which reset the clock for PSLF and made her lose 4 years of qualifying payments. I’m still astounded no one at the servicing company was competent enough in their understanding of student loan rules to yell, “STOP, consolidating is a VERY BAD IDEA.” My fiancée studied for thousands of hours to know medicine, not navigate a maze of federal rules and regulations. My takeaway from this experience is that anyone who wishes to track progress towards PSLF must file their employment certification form annually, at least. You can submit the form as often as you want, and if I was counting on a government program to cover most of my med school debt, I’d file it semi-annually. Essentially, you want a very good paper trail so that what happened to us won’t happen to you. If you wait to certify your employment until the end of residency or fellowship, you could have a hard time proving everything to the government. Changes to the PSLF loan program could also preference those already certifying their status towards loan forgiveness. You have every reason to submit the PSLF form if you’re working at a not for profit hospital and you have student debt. Start at the time you receive your first paycheck. If the REPAYE plan’s interest subsidy applies to you, then you’ll be excited to know you can increase the subsidy to an even higher level. All you need to do is reduce your Adjusted Gross Income (AGI). The most common way to do this is to save in a pre-tax retirement plan like a 403b. House staff might not be allowed to contribute. In most cases, the hospitals will not match any of your contributions. That’s fine, because you’re already getting a contribution from the federal government. To show what I mean, let’s return to the example from earlier with the resident with $200,000 in student loans at 6% interest. She makes $60,000 a year. If she contributes nothing to her retirement, her monthly payment on the REPAYE plan is $352 a month and the annual interest charge is about $8,100 because of the REPAYE interest subsidy (it would normally be $12,000). However, if she contributes $18,000 on a pre-tax basis to her 403b, that reduces her AGI by $18,000. Her new AGI is $42,000, which reduces her student loan payment from $352 a month to $202 a month. Since there is more interest not paid down by her payment, the REPAYE subsidy is higher. The annual interest charge is approximately $7,200 instead of $8,100. That’s like a 5% match on her 403b contribution. Physicians ask me all the time what will happen if PSLF is repealed or scaled back now that Trump is President. Some want to refinance and not count on PSLF at all. If that’s their preference because they can’t stand being in debt, I respect that. However, in some cases they will cost themselves a significant sum of money with a high degree of certainty. PSLF is in the promissory notes of all loans issued under the Direct loan program. The Republican repeal plan in 2015 grandfathered in all current borrowers and changed the rules for future ones. The potentially more worrisome Democratic repeal plan proposed by the President would’ve capped PSLF at a maximum benefit of $57,500. PSLF is absolutely an uncertain program to bank on in the future. However, there is probably an 85%-90% chance that physicians not in medical school now who are banking on PSLF will get to use it. If you’re looking at savings in the $100,000 to $300,000 range by using PSLF, I would not recommend bailing on the strategy. At the same time, setting your finances up well for the 10% to 15% chance there are major changes to PSLF is a great idea. If you put your money into your student loans with this uncertainty, the only sure thing is that you can’t get it back if PSLF ends up working out. For that reason, I suggest all physicians utilizing PSLF should have a taxable investment account invested in low cost index funds. Say you train for seven years and then have the big attending pay bump for three years while waiting for PSLF. Instead of rapidly repaying your loans, put the money you would’ve contributed to your debt into this taxable investment account. If PSLF ends up not happening in your third year of the attending salary, then use that large sum to pay down the student debt, refinance, and rapidly pay it off. Finally, the tried and true “live frugally and pay down your debt fast” advice is applicable here. If your debt to income ratio (including any debt and income from your spouse) is below 2, and you are already working for a private employer as an attending, then private refinancing is probably the best route. If that debt to income ratio is closer to 1.5, then private refinancing looks better still. Keep in mind that for most attending physicians whose paycheck comes from a not for profit hospital, PSLF will be the better route in most scenarios even when the debt to income ratio is low. The reason is you can switch from REPAYE to a plan like Pay As You Earn (PAYE) or IBR, which will cap your payments at the 10 year Standard plan monthly payment. Hence, even physicians who didn’t handle their loan repayment in an optimal way during residency and fellowship might still be able to pay about 50% of the total amount they owe for school. However, if you’re at a not for profit hospital with debt to income ratio below 0.5, private refinancing is probably the way to go because all the loans will be gone by the time you would receive forgiveness. When I was a bond trader, we would often have a backup plan if an investment didn’t go our way. We tried to maximize the expected value of our bet while mitigating risk. Physicians with student loans should behave in the same way. If you’re on track to receive loan forgiveness under PSLF, then evaluate your repayment plan, file the PSLF certification form annually, and save aggressively for retirement. To protect against PSLF’s repeal, save in an outside investment account to have a large lump sum ready to go if Congress changes student loan policy. That money could be deployed fast in a rapid paydown strategy if necessary. Additionally, if you’re a high-income privately employed doctor, consider refinancing your loans. These tips could save you tens or even hundreds of thousands of dollars. You deserve to save as much money as possible for the countless hours you’ve invested in a medical education. Excellent article, Travis. I am sorry to hear about your fiancee’s student loan situation, especially because she spent 7 years in residency / fellowship. Unfortunately, it sounds like some servicers have been getting in trouble recently. Was there a conflict of interest when the servicer consolidated her loans? Not a doc and don’t have student loans, but still enjoyed reading. Very interesting how contributing more to 403b can lower your monthly repayment requirement. As always, the foundation of personal finance rings true. Live below your means, and use the remainder to invest and pay down debt. Thanks for pointing out the pitfalls of loan consolidation under the Public Service Forgiveness option. We consolidated and refi’d my wife’s $107K loans after we decided kids and military moves would prevent her from working 10 years at a Non-profit, but we didn’t know we would be setting her up for failure anyway by consolidating and not filing the forms! I’m also glad to see someone with some real credibility point out the wisdom of investing side by side with debt paydown. Especially for those with lower interest loans, I think too many people get caught up in the emotion of being debt free and fail to consider the power of investing. I like the way you describe debt as a negative bond, very helpful. And agreed, I’m about 100% equities, even though personal capital keeps yelling at me. ERN’S research has proven to me that only a 90 to 100 percent stock portfolio will survive for an early retiree. Thanks! Way to go with that PSLF! I’m kicking myself that I didn’t get into a qualifying field for it, but oh well. We’re sticking with the ol’ “slash everything and apply it to student loans” practice as non-physicians. My $25,000 loan should be paid off in May and Mr. Picky Pincher’s $40,000 loan should be paid off in early 2018. You refinanced it to a 5 year variable right? We actually didn’t refinance at all. It was more hassle to refinance, especially since we can pay them off in 18 months anyway. Hmm say the 5 year variable rate was 4% and the fixed rate was 6.5%. If you’re paying it back in 18 mos, that about $1500-$2000 in interest savings plus the $200-$300 bonuses that you get for refinancing through links such as the ones in this article. That’s a high return on your time I think as the whole process takes a couple hours of time from start to finish, but I understand if you’d rather just pay if off. For $65,000 that’s more reasonable but I know physicians with $300,000 of 7% loans who are repaying at that rate and it’s costing them so much money not to refinance! It is interesting how rule changes can hurt you. We did not have these options when I graduated in 2005 and so I consolidated. Similar thing happened with first time home buyer credit from the federal government. I bought in 2008 and reciever a credit I had to pay back. If I had bought in 2010 the credit would have been forgiven. Alas timing is important but knowledge, like you drop here, is power! If this saves even 1 resident from a massive mistake it’s worth it. One thing I’m finding with doctors is that they haven’t thought through how incredibly powerful PSLF truly is. Most should orient their finances toward receiving it until they’re sure for career reasons they want to do private practice instead. It’s interesting to me that American student loan rates are so high. I’m a physician in Canada, and I’m paying only prime (2.8%, I think) on my private med school loans. Although I would psychologically love to get rid of all my debt now, it doesn’t make any sense to put extra money towards my loans when the interest rate is so low. Instead, I’m aggressively investing in tax-sheltere RRSPs, and when I run out of space there, I’m going to incorporate and keep my savings tax-sheltered in the corporation. Great advice! I am a soon graduating medical student and plan on doing REPAYE upon graduation. I was planning to contribute to a Roth IRA during residency but the residency I am most likely going to (I’ll find out where on match day) offers a 403b. With the benefit of a smaller AGI by contributing to a 403b, should I focus on putting in as much into a 403b instead of maxing a Roth? On a residents salary, I won’t be able to max both. Thanks! I was talking to a friend in medical school yesterday and she was telling me about all the exam fees and costs that she would have to pay in the future. I’ll definitely warn her to not consolidate her loans, so she can have an easier time with PSLF if she works in public services. Good advice, and understand that “public service” applies to being employed by a not-for-profit entity, which is how a large majority of hospitals operate. Many physicians in most specialties can find attractice jobs that qualify. Ooh, that’s even better! I’ll let her know that she’ll probably have a higher chance as most hospitals are not-for-profit entities. Awesome post, Travis! I wish I knew this information when I was a resident, although REPAYE came out after I had already graduated. I knew about PSLF but didn’t do my homework on the income based repayment plans available to me at the time. I ended up just applying for forbearance throughout all four years of my residency. I ended up taking a non-PSLF gig after graduation, so I refinanced my loans and am on the home stretch of having them paid off. Congrats! Yeah the whole process is complex. Wish there was better advice given to residents in their first and second years, and to attendings on how to shop for the best private refinancing rate. That’s why I founded the company to try and do just that. Hope I can save a lot of doctors from making the mistakes we did. Hubby graduated in 1996, so long before these type of programs. We also applied for forbearance through residency and then refinanced after starting practice. The house will now be paid off before the student loans.? I will add that at one point I spoke to someone at the student loan processessing company and indicated I wanted to refi the house to cover the loans at some point so they would be tax deductible and he wisely talked me out of it. He pointed out that if hubby died or was disabled the loans would be forgiven and would not be my responsibility. If the house was refi-ed to pay for them I had no such protection. I am very thankful for that advice. One way around that is if you take out a term life insurance policy on the borrower and have a really good disability policy to cover the family in the event of the borrower’s incapacity. But yes most folks who want to take out loans on the house to pay down the student debt haven’t thought about it before. That rep sounds like one of the few ‘good stories’ I’ve heard from the loan servicing companies. I’ve got plenty of horror stories from doing conference calls with clients. 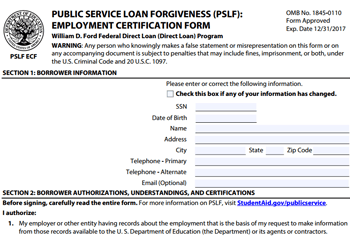 The PSLF “employment certification form” trap is one that I suspect many borrowers who are currently working toward forgiveness have fallen into. It’s one of many reasons I’m so pessimistic about the success of the program. I anticipate a wave of complainy-pants Facebook posts in October 2017 about how the program “is a sham” and the government has “failed Millennials again” because the the requirements, like this one, are restricted to the fine print. Of course, that’s sort of true – but then again, if you plan to enforce a detail of a contract, you should probably read the contract! Congratulations on the new addition and goals for 2017. Everything is achievable if you just set your mind to it. Once you take action you’ll realize that you can always find time to do everything you want to do. Good luck!